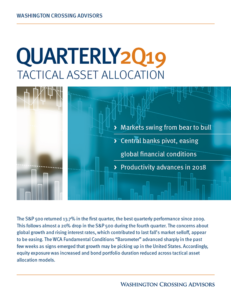 As we head into mid-year, we update some of our Long-Term Capital Market Assumptions that feed into the CONQUEST and Dynamic Strategies TACTICAL portfolios. We start our analysis by observing what returns are available in markets. An investment in a 90-day U.S. Treasury bill today will earn an annualized return of 1.9%, for example. A year ago, this same Treasury bill offered a return of 1%. The increase is due to the Federal Reserve’s(Fed) deliberate effort to raise policy rates. While not a historically high rate by any measure, the direction is clearly up, and this is lifting our forecasted return on cash and other short-term, high-quality assets. At their June 13 meeting, the Federal Reserve hiked rates for the seventh time in three years. The committee views the economy as growing faster than long-run potential, suggesting resource tightness ahead. The Fed also expects growth near 2.8% this year, well above their long-run forecast of 1.8%. Expected inflation is near 2.1% this year, somewhat higher than the Fed’s 2% target. Unemployment is also below the committee’s long-run forecast for “full employment.” All of this leads us to expect the Fed to continue to gradually raise rates toward our 3% long-run expectation. Consequently, we think cash returns will average 2.7% over the long-run (10 year) forecast horizon. At the same time, we would expect 30-year U.S. Treasury bond yields to gradually move toward 4%. This would align well, in our view, with an economy growing near 2.4% in real terms with inflation running close to 2%. If yields do gradually rise toward 4% over time, long-term Treasury bond returns will suffer. Our ten year return assumption for the 30-year U.S. Treasury is just 2.4%, slightly lower than our cash return. As for the stock market, we assume a below-average 6% return given our growth expectation, income return, and adjustments for valuations and profitability. 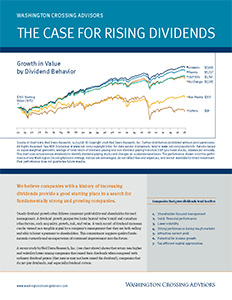 Base case return drivers include real economic growth (2.4% assumption), inflation (2.1% assumption), imported excess revenue growth from faster growing overseas operations (0.6%), and a cash return from dividends and buybacks (3.4% assumed, respectively). However, we note that today’s S&P 500 forward-looking market multiple of 16.1x is 12% higher than the 10-year historic average, and profit margins are roughly 15% higher than the historic average. We reduce expected stock returns by roughly 2.5% to account for future “mean reversion” adjustments to valuations and profitability. Hence, our forward looking return for stocks is for a below average 6% return. The most important driver to returns is the economy. Currently, we anticipate 3.8% real global growth and 2.4% domestic growth over the long-term. We increased these figures in anticipation of positive effects from the recently enacted U.S. tax cuts last year. We are still assessing potential impacts from ongoing trade negotiations. Our base case long-run real domestic growth assumption relies on long-term labor force growth near 0.9%, with productivity and investment contributing the remaining 1.5%. The outlook above is our long-run base case assumption. Over shorter periods, results are likely to be determined by evolving market and economic conditions. Stocks are likely to perform better during periods of growth and healthy market risk appetite. Growing economic uncertainty, periodic shocks and crisis, and falling risk appetite are thought to favor bonds over stocks. To that end, we regularly monitor a wide range of indicators through the lens of our WCA Fundamental Conditions Barometer. When conditions show sustained improvement across a wide array of indicators, the barometer tends to rise above 50. Forecast readings over 50 lead us to overweight stocks versus bonds. Conversely, sustained slippage will tend to push the barometer below 50, and lead us to underweight stocks versus bonds. Readings near 50 are thought to be “average” or “normal”, calling for a “neutral” weighting to stocks versus bonds. After a strong performance in 2017, our “barometer” peaked in January and has drifted lower since. 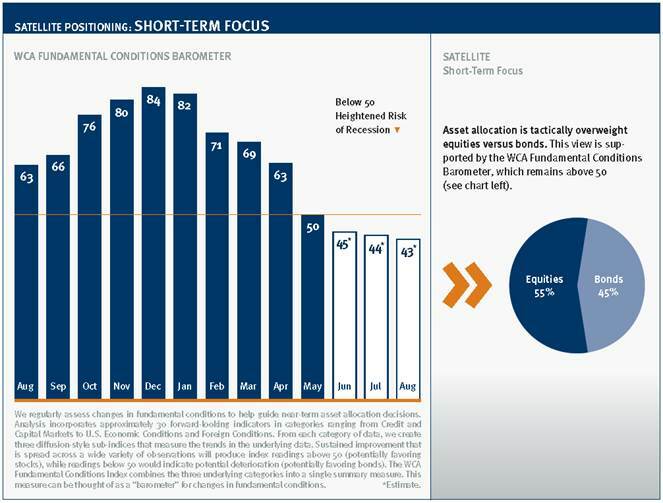 Equity allocations have been cut from overweight to slightly underweight as this played out. A pickup in volatility, rising interest rates, and talk of trade disputes may have all contributed to a more mixed outlook than at the start of the year. As we enter the second half of the year, portfolios are positioned with a tactical style tilt toward value over growth, a tactical global tilt toward developed over emerging markets, and a slight preference toward REITs relative to gold. The near-term direction for the dollar is expected to be biased upward given solid domestic growth, a move toward tighter monetary policy, and increasing fiscal accommodation due to tax cuts and anticipated spending.